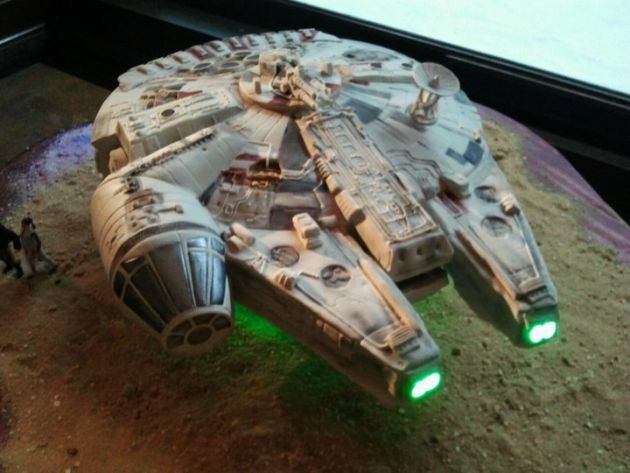 I’ve posted a Star Wars Millennium Falcon cake in the past but it didn’t look nearly as awesome as this Millennium Falcon wedding cake. 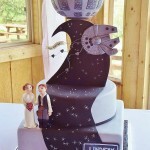 This was apparently created for Reddit user Punqington’s wedding and it looks amazing! 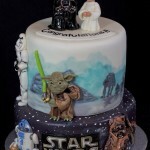 It was created by The Butter End Cakery in Santa Monica, CA for those curious who can make an awesome cake like this. 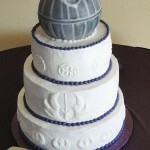 Sadly, I see one major flaw with this cake. 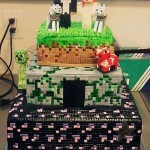 No cake should ever be that close to dirt. The fact that it looks like it is sitting on dirt scares me away from wanting to eat it. The lights look cool though! 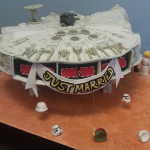 If you have any geeky wedding cake pictures, let us know in the comments!